It’s always sad coming home from a trip, not only because I love traveling and seeing and doing new things, but because these trips are the only times I get to see my boyfriend. Going to Colorado was special because Jon has spent a lot of time there, so he was able to share some familiar things with me and also do some new activities. We toured the central part of the state and the eastern part of the Rocky Mountains, staying mostly east of the Continental Divide and south of Interstate 70. Before heading to Colorado I knew there would be too much to see and do. What that means is that I have to go back to see places like the Maroon Bells-Snowmass Wilderness Area, mountain lakes, Rocky Mountain National Park, Independence Pass and the bustling I-70 area in the daylight. But we still accomplished and saw many things, and I am pleased with the activities we chose. While I am still trying to recover (spending nine hours climbing a mountain really wore me out), I will begin my posts on this trip with a round-up of what Jon and I saw and did over five days in Colorado. 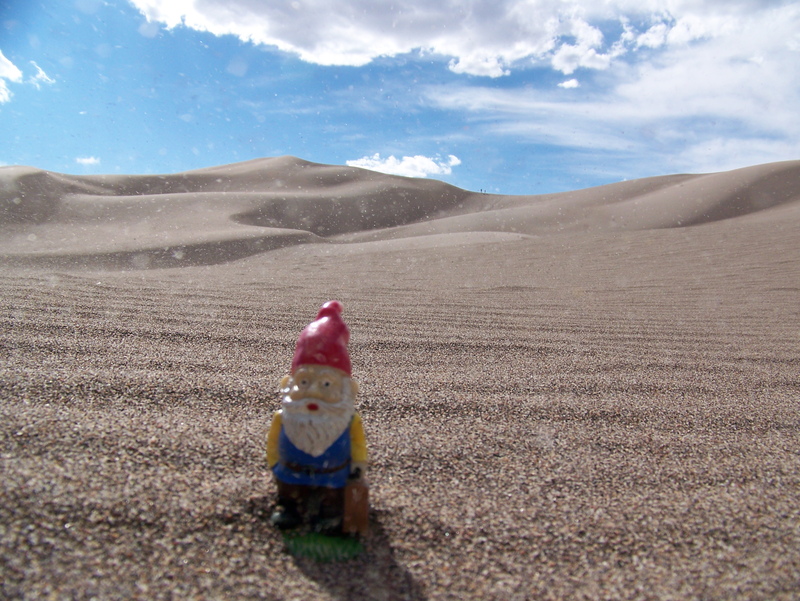 Some of these photos will contain my traveling gnome, Cedric, who was featured predominately in the older version of this blog. I am always taking pictures of Cedric and I have decided I need to get back to showing off the pictures of him, too. A couple of the pictures I post here will be ones I took of Cedric that I posted to Twitter and Facebook while I was traveling. After flying into Denver, we headed south to Colorado Springs, where we spent the night. 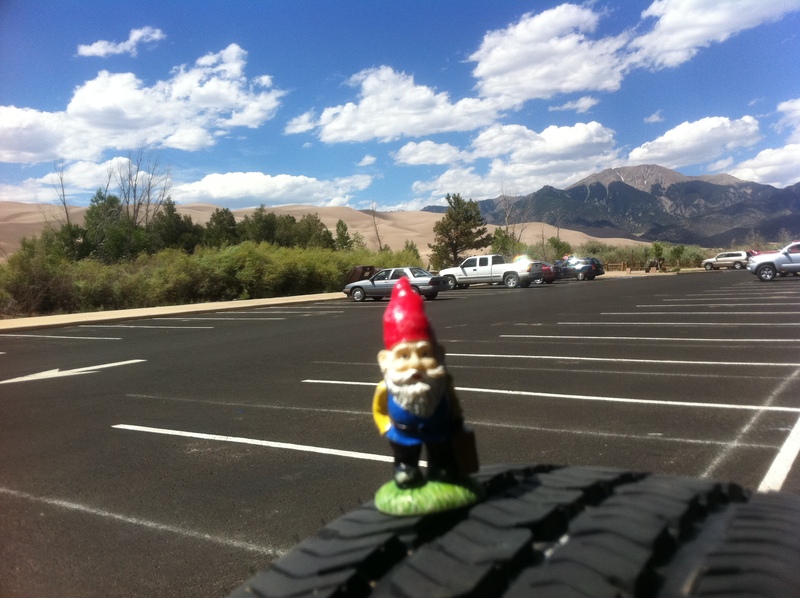 The next day we drove farther south, heading to Great Sand Dunes National Park. 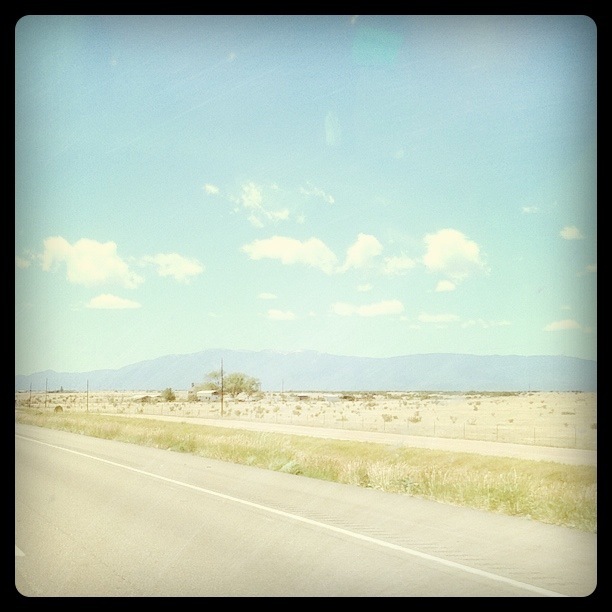 These are the mountains that came into view south of Pueblo. When you get to the turnoff for the national park, the sand dunes are not immediately visible, but then the sand slowly starts to rise in front of the mountains. Once you get to the main day-use area, the dunes are a short hike away. My first hike here was a bit difficult for me and I did not make it to the top of High Dune. This is as close as I got. After spending the night on the dunes, we headed to Bishop’s Castle, west of Rye. 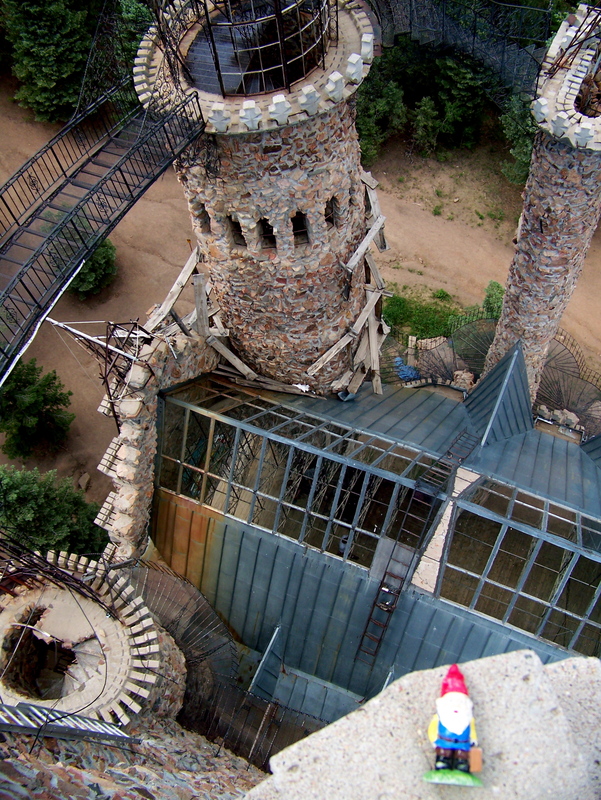 One man has built this castle from scratch and has it open as a tourist destination. It definitely wasn’t the safest structure I have ever been on, but it was impressive to see this man’s dream. From Rye we headed back to Colorado Springs and then up in to the mountains and Pike National Forest, where we spent the night. 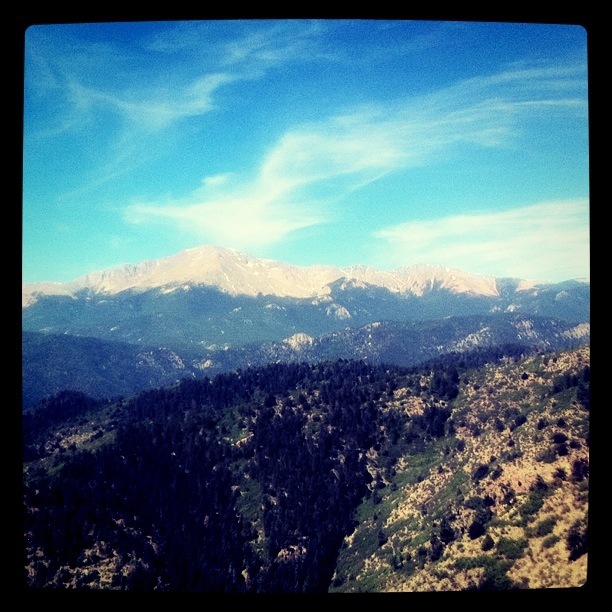 This was the view of Pikes Peak as we headed down the mountains the next morning. 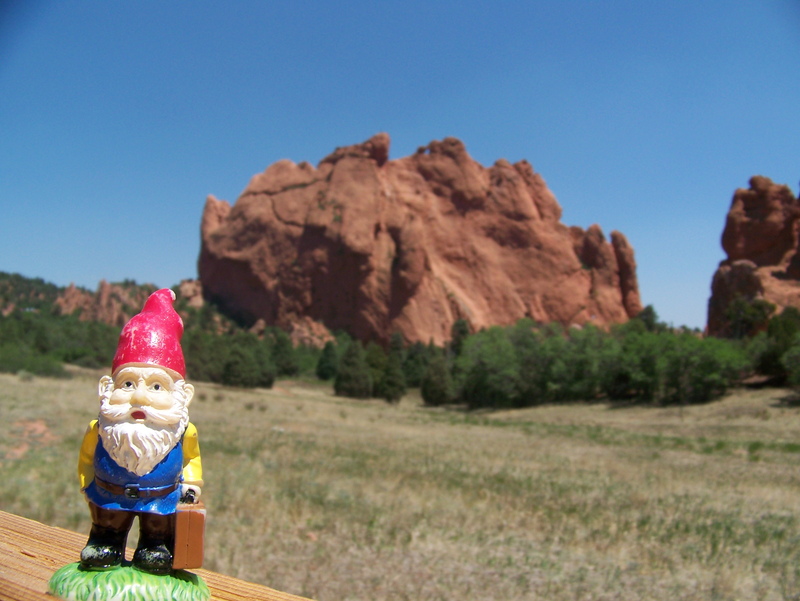 Jon and I were on our way to Garden of the Gods, a free park in Colorado Springs. It is famous for its red rocks. After the wedding we planned this trip around, we drove to Mount Elbert, between Twin Lakes and Leadville. 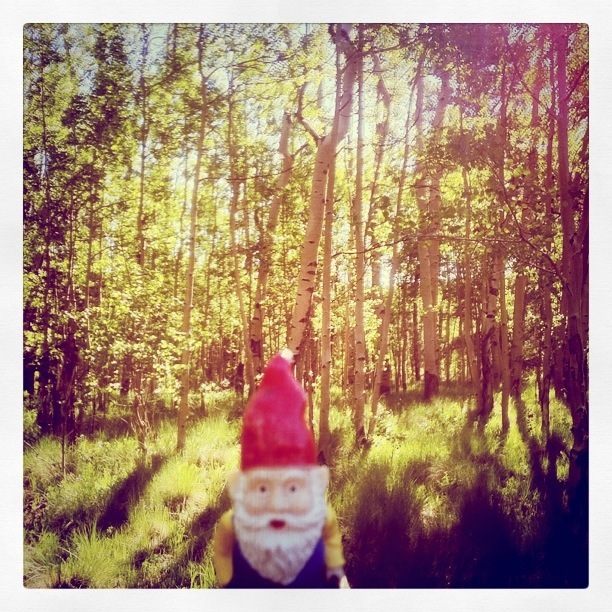 We followed a road up to around 11,000 feet and camped here in front of this lovely aspen grove. Six hours later we made it to the top of Mount Elbert and were awarded with a wonderful mountain view. All in all I was quite thrilled with this trip, especially with plenty of opportunities to push myself. I plan on writing about all of these adventures because they were all so new to me. Come back to check those out! 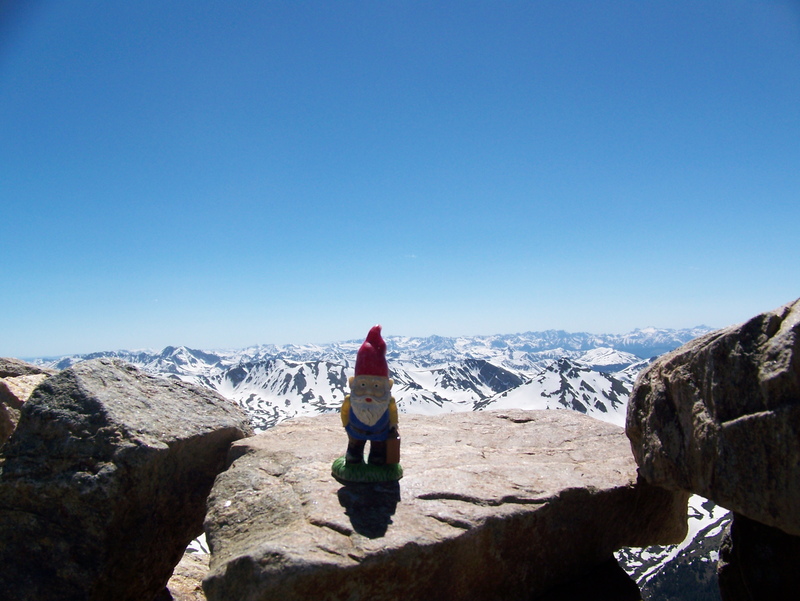 This entry was posted in North America, Photos, Travel Update, U.S. and tagged City parks, Colorado, Gnomes, Hiking, Mountains, National Parks, Photos, Rocks, Snow, Travel. Bookmark the permalink.